An informal gathering of serial numbers to determine approximate manufacturing dates. 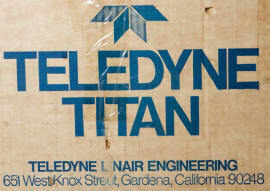 hain & FW, Hi-E 200g rims, CLB Al cables, first edition Teledyne decal set, etc.). "...found the frame as NOS... in Belgium"
Velodrome. 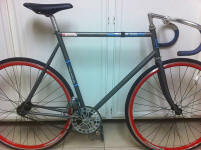 Contact us if you know where this bike is!